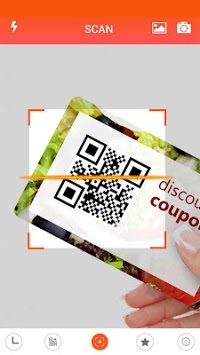 Barcode scanner is a powerful QR code reader, best barcode reader. 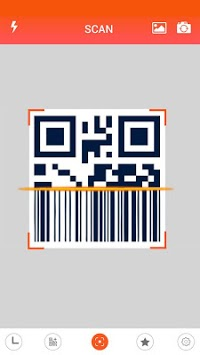 It scans all barcodes and QR codes in just a few seconds. QR-decoded results are quickly stored in the application's history repository, and they are ordered by date, by name, or sorted by data type (text, URL, contact, e -mail, …) depending on your settings. 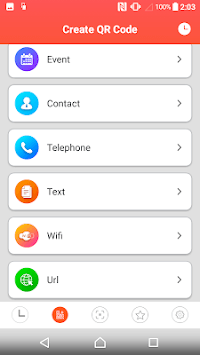 QR scanner app is not just a QR code reader but also a free QR code generator. It lets you generate arbitrary QR codes by opening the QR & barcode scanner app and selecting the Create New. This application does not limit you to generate QR code and read bar code. Download the free QR code reader, barcode scanner app for your device and experience all of the powerful barcode scanning capabilities of the app. This is the best barcode scanner for Android; A nice barcode reader application, simple, easy to use.